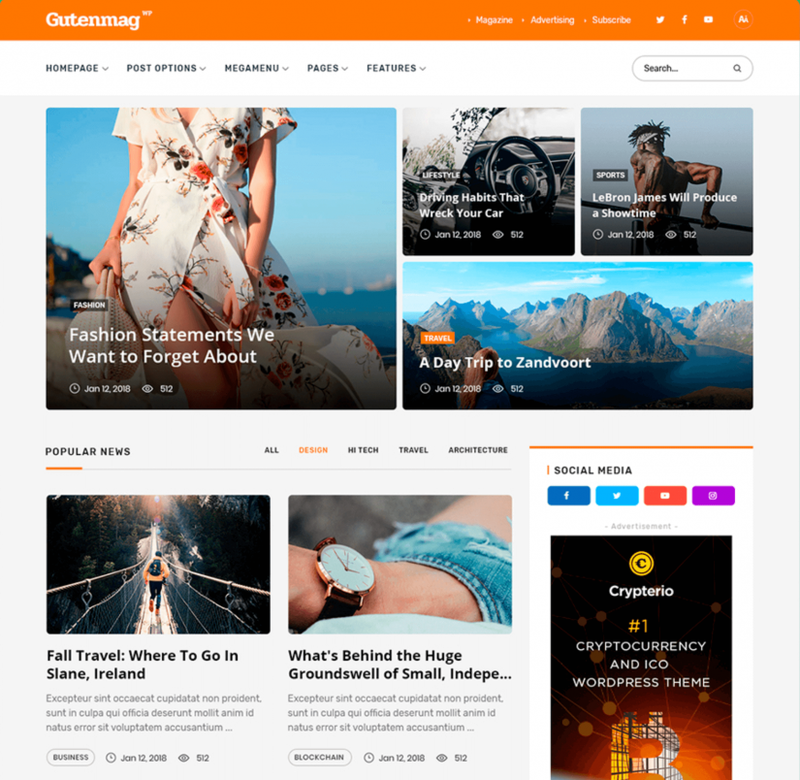 GutenMag is an exclusive WordPress magazine theme which is using Gutenberg Page Builder and native Blocks. 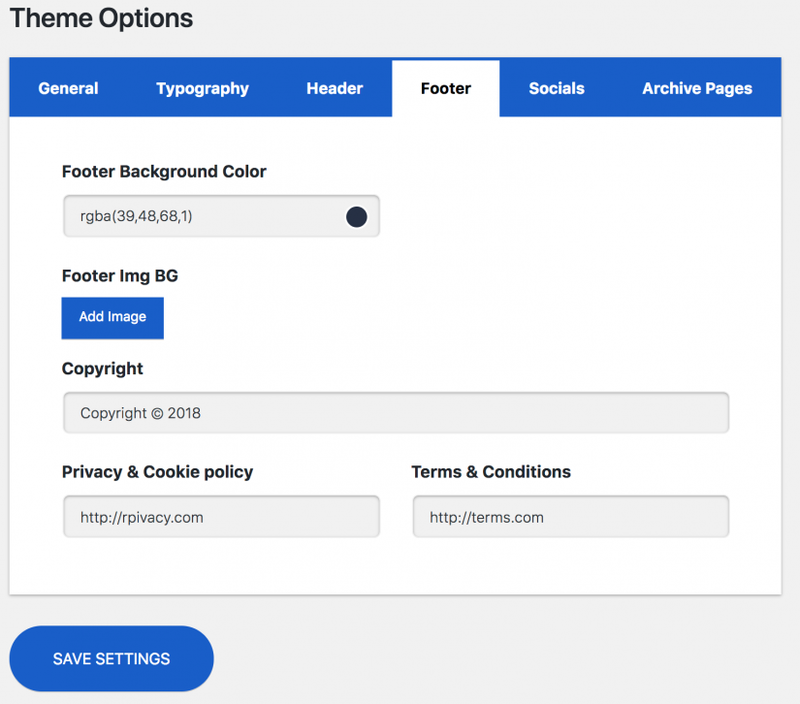 This theme lets you design your website directly from your content editor! The Gutenberg Editor is the latest major overhaul done for the WordPress platform. Starting from WordPress 5.0 — all users will experience the introduction of a new content editor that favors a content-block system. Content Blocks are individual content pieces that can be added to posts and pages, but also reused at any given time. Further, Gutenberg encourages a content-driven design approach, meaning you can create unique WordPress themes using your content editor! In many ways, this is easier said than done. The Gutenberg Handbook does an excellent job at explaining how Gutenberg works on design and development side. Nevertheless, the growth of Gutenberg-ready themes has been exponential. And today we would like to review GutenMag, an exceptional Gutenberg Magazine theme for WordPress users. You can visit the official GutenMag homepage and preview Gutenberg functionality in real-time! First and foremost, GutenMag is our latest in-house built theme! Already after a few days of releasing, we’re seeing a steady flow of sales, which shows that the community is beginning to embrace the dynamic nature of Gutenberg themes. GutenMag currently has 3 readily made demo designs: Tech Magazine, Lifestyle, and Newsweek. In this review, we will examine the basics and also showcase the way that this theme works in the back-end. GutenMag Review: What is GutenMag? Magazine themes are generally used for blogs and sites that deal with a consistent content publishing schedule. Our goal for this theme is to minimize the necessary effort it takes for you to publishing meaningful news, whilst utilizing all the intricate benefits of Gutenberg! GutenMag is going to work best for blogs that keep a consistent publishing schedule. Nevertheless, bloggers and writers who love minimalism can also greatly benefit from this theme. In short, thanks to the versatility of Gutenberg, you can customize this theme to do whatever you want! What’s more, we have ensured that this theme remains beginner-friendly. A lot of the customization tools are pre-built, resulting in easier management for both homepage and post appearance. In a nutshell, you don’t need prior design experience to rearrange the look and feel of your site using GutenMag. True Gutenberg Experience. 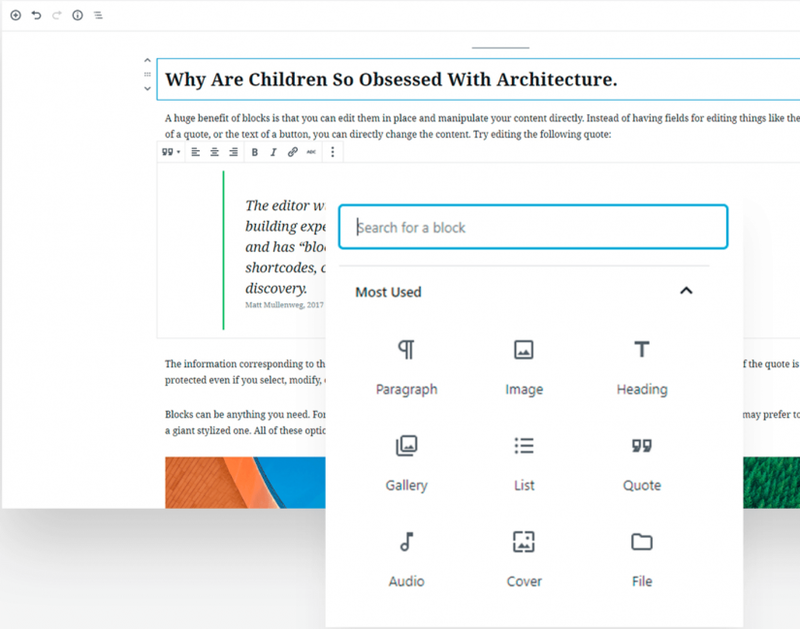 All pages are based on the Gutenberg Page Builder, with support for native Blocks. Amazing Demos. At the moment, pre-made demos are available for tech, lifestyle, and news magazines. In the near future, we’re going to release demos for beauty, personal, auto, and crypto magazines. Elements from different styles can be combined together to create one unique design. Unique Post Styles. Having one permanent post style is boring. That’s why GutenMag has multiple post styles to meet the needs of a specific situation. Incredible Performance. Thanks to concise development practices, GutenMag scores in the 99% percentile for site performance. Further, all pages are mobile-ready and optimized for AMP. You can enable/disable AMP manually. Since this is a premium theme, you can only purchase it through the official ThemeForest page. After purchase, you will be able to download a .zip file containing the theme files. 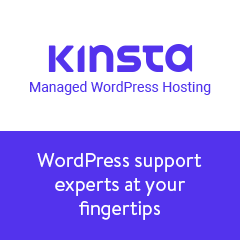 The installation process is the same as for any other WordPress theme. Go to admin dashboard -> themes -> install a new theme -> upload & activate. Once you have done all of the above, you’ll be automatically redirected to the GutenMag welcome dashboard. From this dashboard, you can import a demo design of your choice. The demo installation process also installs the necessary plugins and demo content. Once the installation is done, your site is almost ready to go. There are a few things you have to configure manually, which are largely based on your personal preference. Configure Header appearance, set up Footer & Header content, and add Sidebars. Pick and choose a custom color scheme, including custom fonts. Add critical business details in About Us parts of the site. Add Widgets to Sidebar and Footer areas of your site. Customize a Menu as the official navigation option. Thankfully, most of this can be done through our Theme Options plugin. At this point, the only thing that’s left to learn about GutenMag is the post-publication process using custom styles. When you go to your New Post dashboard, below the Gutenberg editor you’ll find a separate section called ‘Post Options’ — as shown above. In this section, you can select the position of your sidebar, but also choose a post template. Further, this section includes options for displaying related posts, author box, and post navigation. Lastly, you can choose to add a Video or an Audio file which will automatically convert your post in the said format. As for individual post styles, you can preview them all individually in our GutenMag Demo. Currently, it’s a collection of 5 unique post styles. Once you remember each one, simply decide which post style you are going to use for any new post you publish. 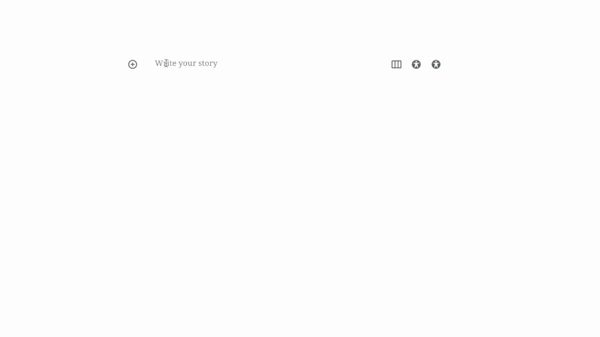 In the Demo, post styles can be previewed by hovering over the Navigation Menu -> Post Formats. Gutenberg is still a new thing. It’s an infant that’s going to continue growing over the coming years. And with that growth comes new features and ways in which you can publish content. Our goal is to make GutenMag the most diverse Gutenberg theme on the market. Not only are we working on implementing new styles and demos, but also doing our best to create new and exciting Blocks. 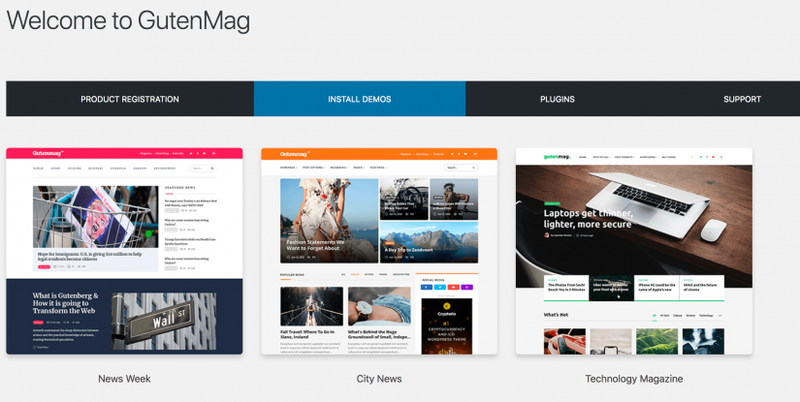 As we have already discussed, this theme is created to serve as a universal solution for any magazine site that uses WordPress. There’s really nothing that this theme cannot do in terms of design customization. And there are very few features that require above-average WordPress knowledge level. That being said, here is a full list of the key features you’ll find in GutenMag. Gutenberg compatible — Edit pages, create designs and publish posts using the new editor. Unlimited Headers with Pearl Header Builder — Unique header builder for creating an authentic header for your brand. GDPR plugin included — Meet the requirements of EU’s GDPR law on all your pages. Revolution Slider included — Add stunning Hero Sliders to your homepage and posts. Parallax and Video Background — Create seamless content navigation experiences using modern web technology. AMP ready — Optimize your posts for maximum performance using Accelerated Mobile Pages. Highly favored by Google! Regular Updates — We stay in touch with the times. Expect new updates for features and compatibility. WooCommerce Shop — Launch an online store directly from your magazine site. Custom Icons — A diverse library of free SVG & FontAwesome icons. WPML localization support — Translate GutenMag in your local language if necessary. 24/7 Professional Support — Never get stuck with a broken site thanks to our consistent support promise. Documentation included — Our goal to ensure that you can set up your site in the least amount of time possible. This is literally web design on steroids! Open up a New Page in your WordPress Dashboard. Click on Add a New Block and search for ‘STM’ — this will display all the available Blocks for designing a page. As soon as you add a Block, our theme will convert the chosen Block into a unique design experience. You don’t have to do anything else. In order to maximize flexibility, we have implemented more than a dozen post formats to use inside your content. 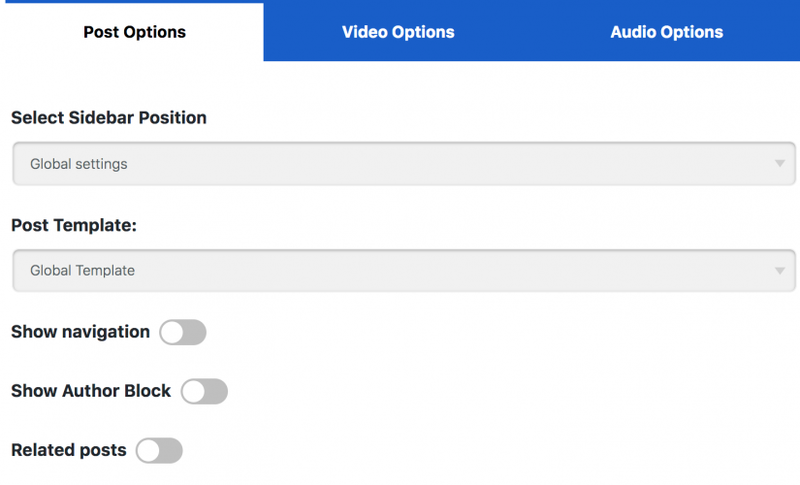 Embed videos or social media posts, add stylish quotes or use pre-designed lists. All you have to do is utilize the Gutenberg Blocks system. Additionally, each Block supports custom CSS classes if you wish to add custom styling. 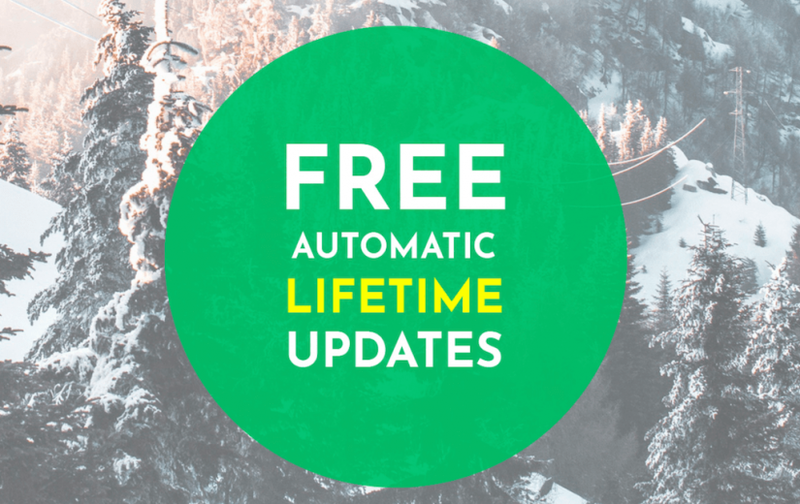 After you purchase the theme and activate your license code — you’re set for life! With each purchase, we guarantee a lifetime of updates. Furthermore, updates are pushed to your site automatically. This applies to potential security risks, but also major releases. We have created a separate page to highlight a Changelog. You can see this page by clicking here. The Changelog keeps a consistent log of all updates that we have done for the GutenMag theme. Overall, this is a fairly straightforward theme. Whether you wish to use it really comes down to two things: do you like the theme-feel and are you happy with Gutenberg. Understandably, some WordPress bloggers will be hesitant to move over to a Gutenberg-style workflow. But, we feel that this review exemplifies the immense potential that this new editor has on the overall WordPress landscape. The fact that you can design pages just like blog posts is a phenomenal experience. This has never been done in WordPress before, and the only other option was to use page builder plugins. So, exciting times ahead! Who knows what Automattic (WordPress parent company) is going to decide to do next. 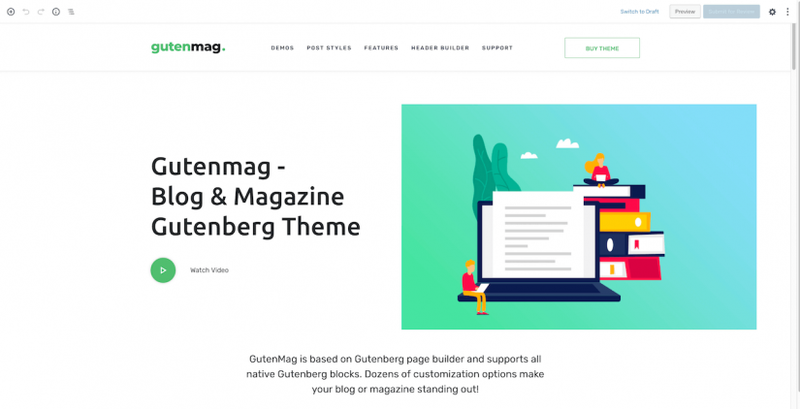 At this time, our focus remains on making GutenMag the best Gutenberg magazine theme out there!